A fun and easy jelly recipe perfect for any party. 1. Dissolve contents of packet in 225ml (or 1 small cup) of boiling water. 3. Add 225ml (or 1 small cup) of cold water, mix well and pour into mould. Tip: For quicker setting, substitute the small cup of cold water for a cup of iced water or ice cubes. 1. Prepare Moir's Bubblegum jelly flavour with 225ml boiling water. 2. Halve the mixture into equal portions. 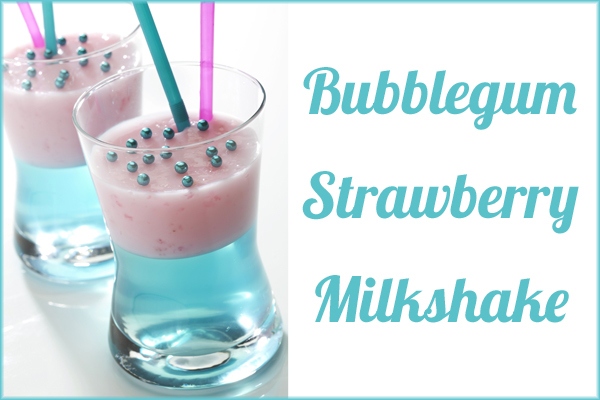 Mix one half with 100ml of water and the other half with of 100ml strawberry yogurt. 3. Pour the clear half into glasses and leave to set. 4. Once set, pour the yogurt half on top and place in the fridge to set. 5. Garnish with Moir’s cake decorations and straws.